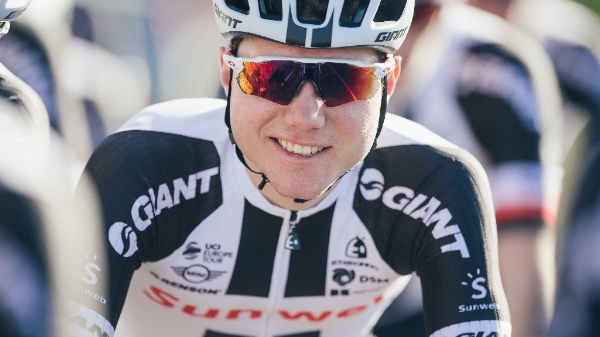 Development Team Sunweb rider Mirc Hirschi (SWI) has won the U23 European Road Race Championships in Czech Republic. Having already raced to 5th place in the individual time trial earlier this week, Hirschi continued his strong form taking a sprint win from a small breakaway. Hirschi said: "It was a really hard parcours today with a small cobbled climb and another 3km climb. With three laps to go I attacked the peloton and crossed the gap to the front group. Then on the next climb I attacked the front group and got away solo in front. But then on the decent I had a mechanical with my chain and had to get a bike from the neutral car. "I managed to get back to the Spanish rider in front, then after a French rider came across to make it three. So from there it was down to a sprint finish between us. I'm so happy to take the victory, even more so given the mechanical problem. I'm really looking forward to wear the jersey in the upcoming races."